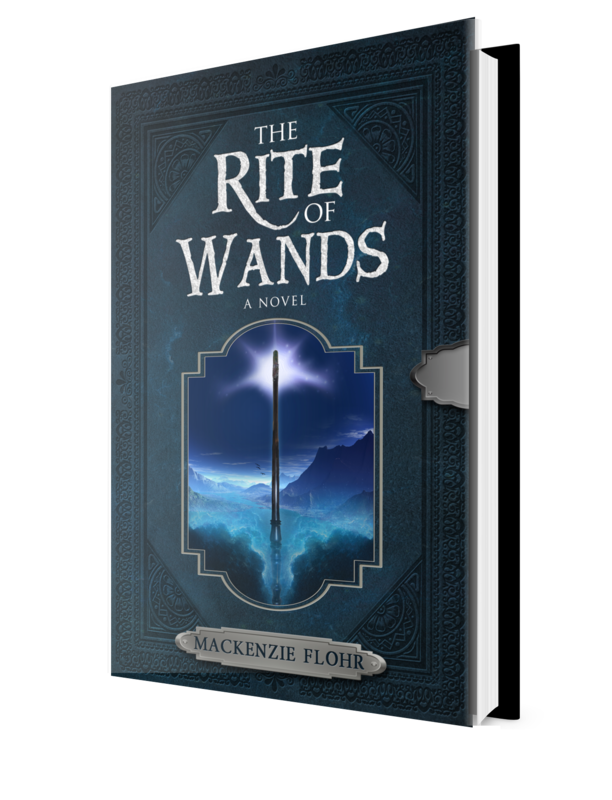 I'm delighted to welcome Mackenzie Flohr to the blog to talk about her much-praised book The Rite of Wands. She's a Whovian extraordinaire, a passionate supporter of authors - and her book is in my review list, so expect one of those coming up soon! But enough blather from me, take it away, Mackenzie! One of the most frequent questions I am asked as an author is what inspired me to write The Rite of Wands. I have always found that question interesting because when you think about it, inspiration is different for everyone. It may be a memory, a character from a book, song lyrics, a political speech, a TV series, or even an actor’s performance. Pure imagination is in all of us—we only need to discover it, and sometimes storytelling helps. Inspiration can come to us in any shape or form; you never know what or who may inspire you. Mackenzie Flohr and BHC Press are pleased to announce the upcoming release of The Rite of Wands in hardcover! In this special edition of the first book in the award winning young adult series, The Rite of Wands, releasing November 11, 2017, readers will be enchanted by a brand new short-story never before published! One boy…one Rite… And a world of deadly secrets that could change the course of history—forever And so begins the tale of Mierta McKinnon. When a horrible fate reveals itself during his Rite of Wands ceremony, he must find a way to change not only his destiny but also the land of Iverna’s. Forbidden from revealing the future he foresees to anyone, he is granted a wand and his magical powers, but still must master the realm of magic in order to save himself and those he loves. But Mierta is not the only one with secrets…especially when it’s impossible to know who to trust. “For God’s sake, get out of the road!” he heard a voice shout from the direction of the out of control carriage. “Hail, Mary, full of grace. The Lord is with thee…"
Mortain stared forward, frozen, unable to move. Life at that very moment seemed to slow to a near standstill. He could hear his heart beating in his ears as the horse and carriage barrelled down upon him. His mind concluded that this was how his life was going to end, rather than the way his Rite of Wands had dictated. There was nothing more tragic than being unable to be who he was. Mortain was abruptly lifted off the ground and thrown into a nearby water trough. As he sat up, feeling the water soak through his robe and tunic, he watched a beautiful woman wearing her long black hair in a twist to the side substitute herself in the place he had been previously standing. The horse snorted and quickly came to a halt. 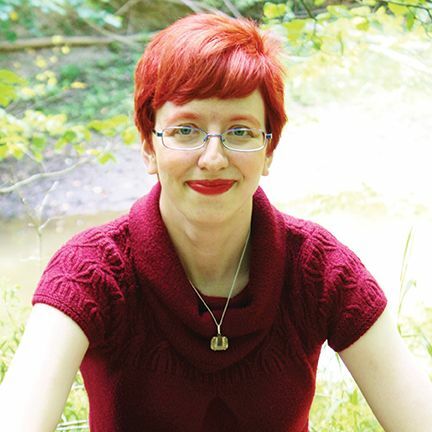 Mackenzie Flohr is the author of the popular young adult fantasy series The Rite of Wands, which has caught the attention of Doctor Who and Harry Potter fans worldwide. Readers agree that Mackenzie has crafted a robust tale of secrets, mystery, and uncertain destiny that rivals the works of Tolkien, Lewis, and Rowling. Mackenzie grew up in Cleveland, OH, chasing leprechauns and rainbows and dreaming of angels. Her parents nurtured a love of fantasy and make-believe by introducing her at a very young age to the artistic and cultural opportunities that the city had to offer. Yet, it wasn't until she was on a trip to Indiana, viewing a Lord of the Rings exhibit, that the innermost desire of her heart became clear to her. Fans have become enchanted by Mierta McKinnon, describing him as an innocent, rambunctious, trouble-seeking, realistic, and believable character whom has quickly become a fan favorite. The Rite of Wands follows the young warlock as he seeks to fulfill his destiny and cure the land of Iverna of a horrendous disease called The Shreya. Readers will find themselves immersed into his story and feel like they are a part of his journey.